As this wedding season comes to a close, we are already hard at work on an entirely new season of weddings. We are so pumped about many of the 2018 wedding trends that we’re incorporating into next year’s designs. A return to impressive floral pieces, marble and stone-inspired designs, and bold pops of color are just some of the exciting things you can expect to see in the coming year. 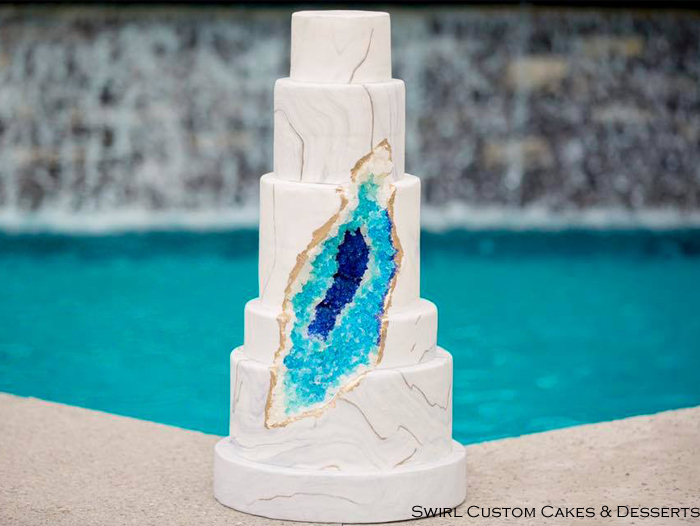 Geological textures like marble and quartz are having a huge impact on wedding design. We see it in charger plates, geode cake designs, and stationery. These patterns are found in nature, which is a definite part of the appeal, continuing the idea of bringing the “outdoors in”. See how elegant they can be! 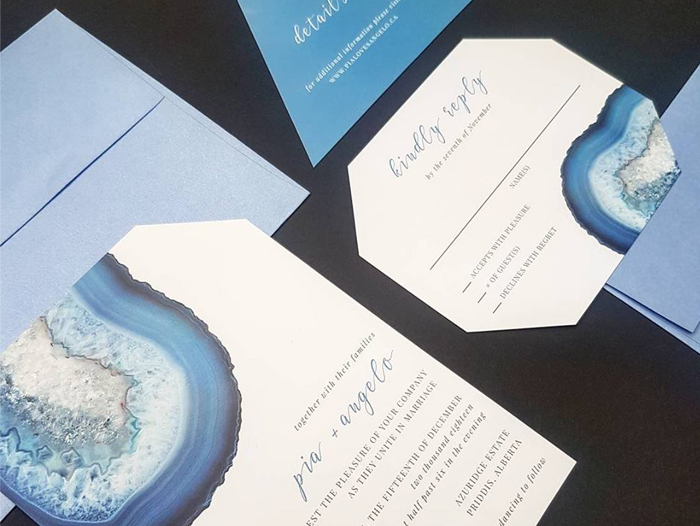 Just check out these gorgeous invitation suites from Lovesky Designs Inc. 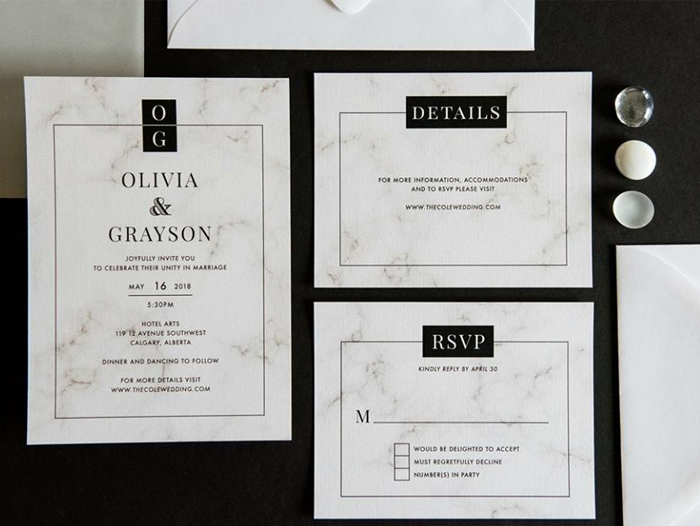 The Big Affair – A Marble-inspired Stationery Suite Designed by Lovesky Designs Inc.
Quartz inspired stationery suite from Lovesky Designs Inc.
Geode cakes, like this one by Swirl Custom Cakes and Desserts are all the rage right now! The “quartz” look is a great way to incorporate your wedding colors. Greenery has been all the rage over the past few seasons. While we don’t expect to see it go anywhere, we are starting to see a return to bigger floral pieces designed to make a statement and impress. These may be used at entrances, for head table décor, ceremony backdrops, and even for some of the centerpieces themselves. Most couples won’t be able to do elaborate florals for all parts of their wedding, but many will plan to focus on one or two showcase pieces. 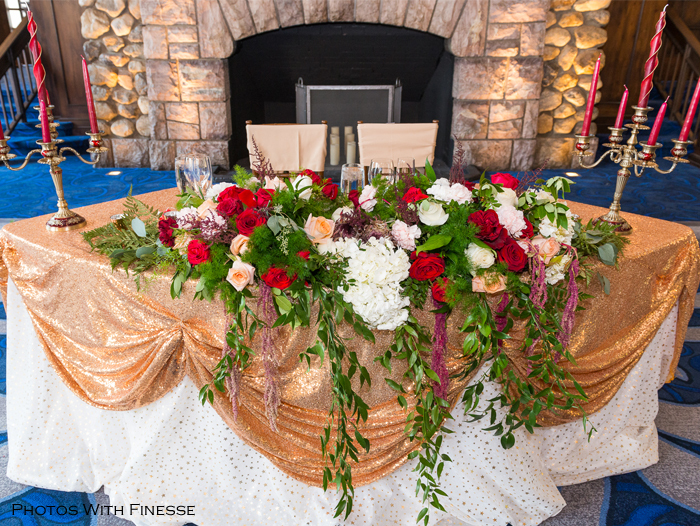 Perhaps a suspended floral chandelier over the head table or a lush, opulent arrangement for a sweetheart table? 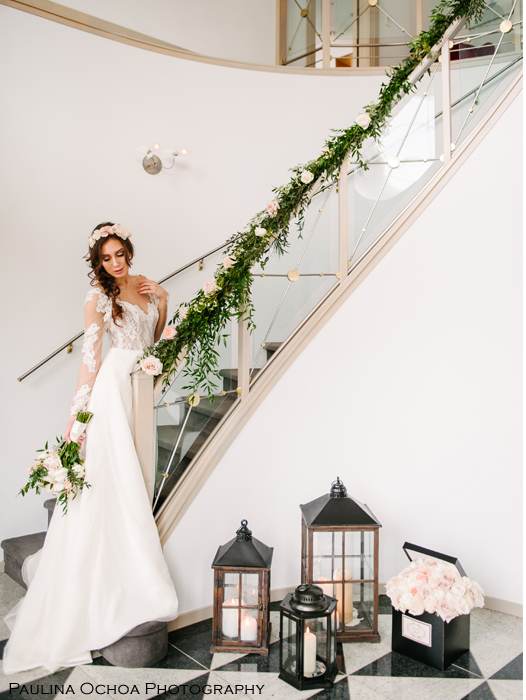 Maybe your venue has a grand staircase you want to feature or a stunning fireplace mantle that you wish to use as a focal point? This is a time for you and your wedding designer to stretch your imaginations and put it to the test! Neutrals have long been a staple of wedding color palettes. Classic colors that will stand the test of time. Nowadays, however, we want to shake things up a bit. It’s time to bring out the paint brush and add a swish of bold color for a twist. 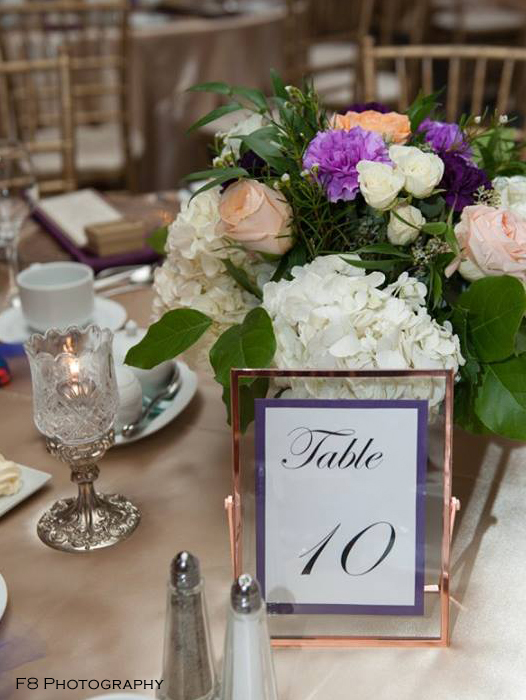 Jewel tones in particular, will add that pop of color that will completely transform and warm-up your venue space. 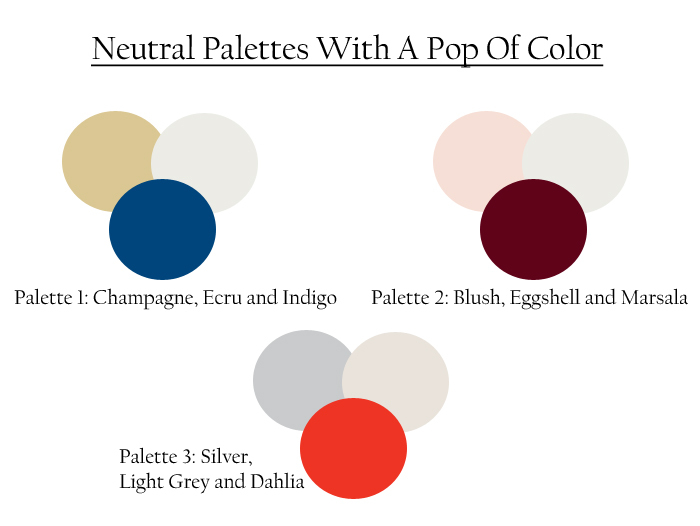 Romantic red, royal purple, deep navy, and passionate fuchsia pink are just examples of some of the colors that will add some drama and create more of an innovative color palette. 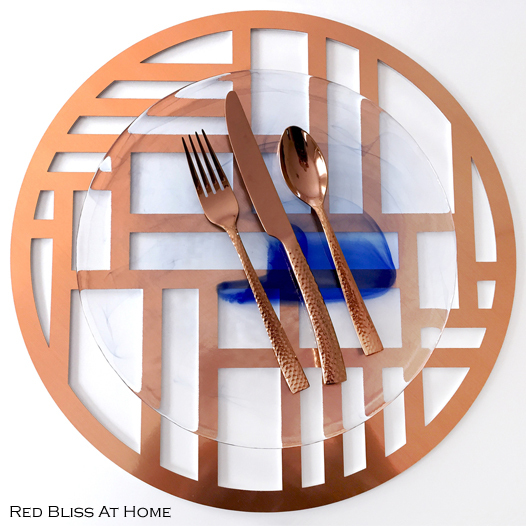 Metallic accents have always been in, but now there’s a new metal in town! 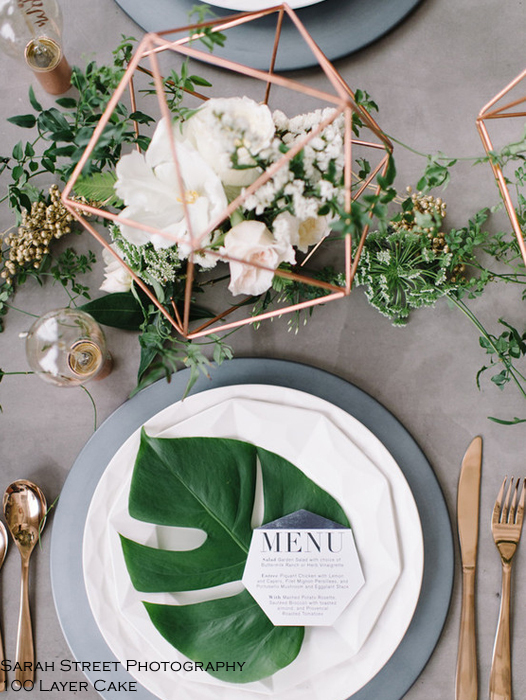 Copper (AKA rose gold) is making its presence known, rapidly replacing silver and gold as the favorite metal to use in wedding design. Copper mugs for Moscow mules, flatware, candle votives, charger plates, table number frames, candelabras, and more. There are so many options to include this warmer, pink-hued metal. Once again, because it is a little bit newer, that increases the fascination with it. One of the trends we’re most excited about for this coming summer are moongates. These circular openings, most often found in gardens, are a traditional architectural elements influence by the Chinese. 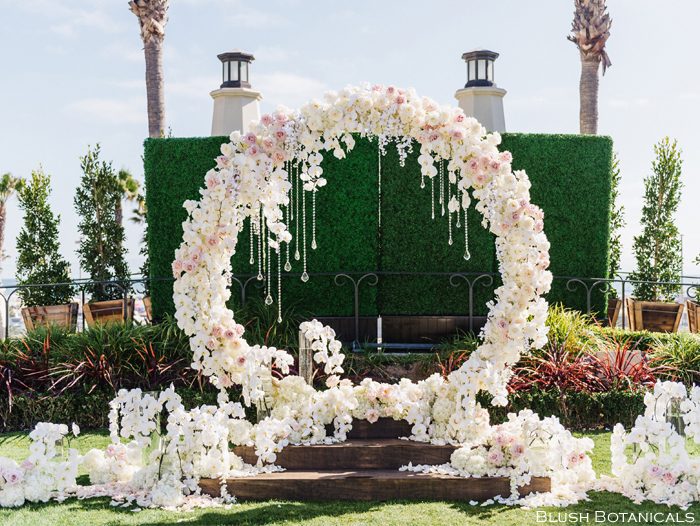 They symbolize luck and happiness, which makes them ideal to use as a ceremony backdrop. Many of us are familiar with the concept of the wedding ring, a circle with no beginning and no end. While some are created out of stone or wood, we’re in love with the floral ones as they combine this trend with the one on impressive floral pieces. Our in-house floral designer, Fiori Con Amore, is one of the few florists in the area who has the frame necessary to build these structures. We can’t wait to start building these as they are ideal for either an outdoor or indoor ceremony. 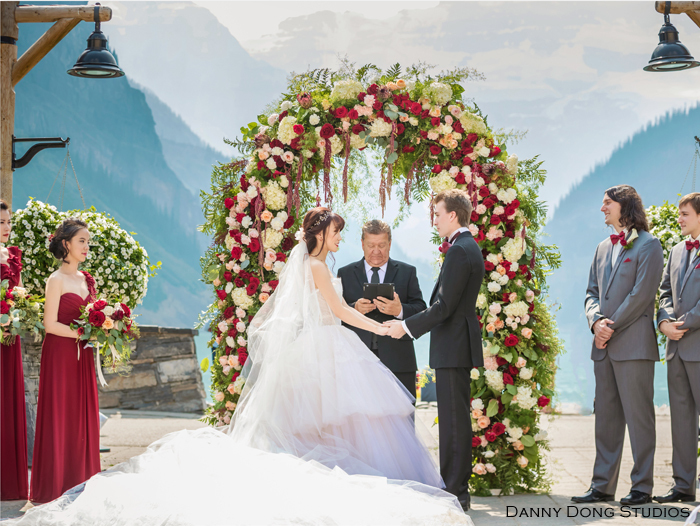 Moongates are the latest in ceremony backdrops. Taken from Chinese culture, they symbolize luck and happiness. This one has been created by Blush Bontanicals. We have our own designs in the works for this coming summer! We’re obsessed with shapes! Choosing something that is unique and different than the norm is just another way we can create a unique reception space for you and your guests. Centerpieces now include geometric shapes for more of a terrarium look and feel. We’re also seeing geometric shapes being used to customize lasercut “charger” plates/placemats or incorporated into stationery designs. Similar patterns can also be found in stationery design. Bespoke weddings are the perfect place to incorporate something that is a “little different”. This is the ideal way to do it! Today’s design looks are more involved than just putting nice looking linens on the table. 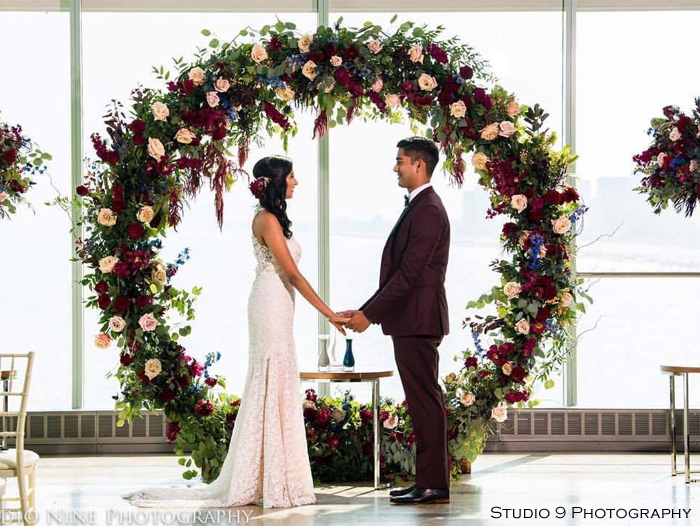 We’re seeing couples focusing more and more on the specific details to create a truly unique and innovative tablescape that is unique to the couple involved. Yes, we still look at the linens and the colors, but now we’re focusing on other items to make it different than the norm. Cutlery is now available in more than just the standard silver. Gold, black, and rose gold are just some of the possibilities available to us nowadays. 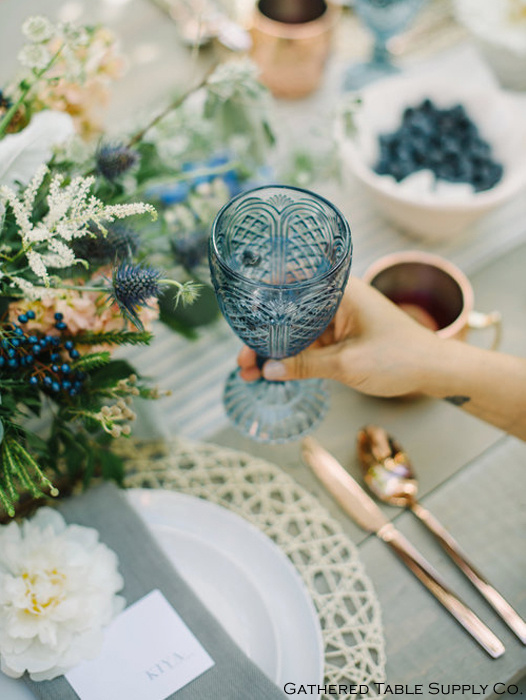 As well, colored glassware, based on the couple’s color palette are being used for wine or water glasses, adding more color to your reception table décor. Colored glassware and flatware is a unique way to include your wedding colors. 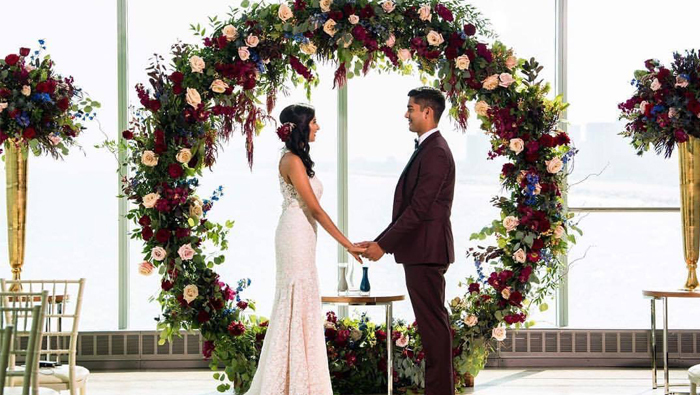 Source: Gathered Table Supply Co.
if you are looking for help with your wedding planning design, please contact us at info@creativeweddings.ca or 1-888-790-6986, ext. 705. We can work with you to have a bespoke wedding that focuses entirely on the two of you and brings all of your visions to life.